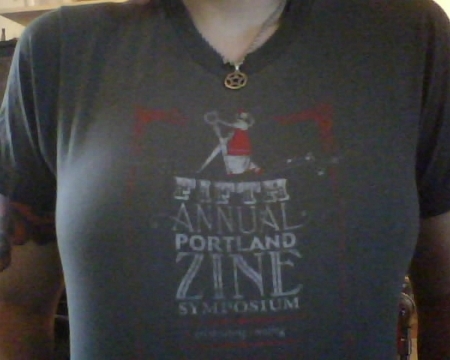 2005 Portland Zine Symposium shirt. I also added some more events to the International Zine Month blog. This entry was posted in zines and tagged international zine month, izm, shirt, zine shirts. Bookmark the permalink.